There are people who like to take snapshots of their vacation adventures. Other folks like to shoot their grandson rounding the bases and heading for home. Both are fine pastimes, but there is another category of photographer who wants to do more. These artists desire to create lasting art through their photographic exploits. It is to this third group that Gildshire Magazines had in mind when we heard about the PDN PhotoPlus International Conference. Our Lev Radin was there to take pictures…of the picture takers and also their wares. The 2017 show, like the previous 33 that came before it, was about much more than pretty pictures. It featured 100+ educational seminars, as well as photo walks and Master classes for experts looking to grow. For motion photographers, special filmmaking classes proved popular. Competition photography was also on display, as the Palm Springs Photo Festival Portfolio Reviews combined with the Lucie Technical Awards to award prizes. 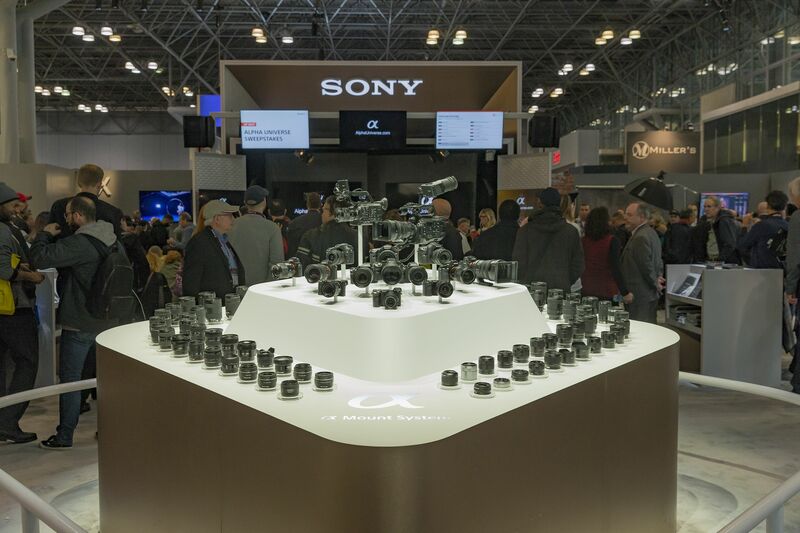 All in all, over 200 exhibitors and brands displayed thousands of equipment pieces. There were products and services for attendees to fondle, experiment with, and compare. There was a great deal of buzz around what happened inside the Adobe Show Floor Theater. Fast-moving (many 20 minutes or less) instruction and information seminars covered many photographic topics. Among the most interesting were talks on “Making People Look Their Best,” by Lindsay Adler, as well as “Bring Out the Best in Outdoor Shots,” presented by Nicholas Pappagallo. In addition, the struggle with exposure challenges was solved by Serge Ramelli, and Terry White closed the show with a fascinating talk on telling one’s story with Adobe Spark. The keynote speech Thursday, Oct. 26 proved to be just as interesting as anticipated. Canon sponsored and titled it “Women in Photography and Film.” It highlighted three top female contributors to the art form we know as photography. Latoya Ruby Frazier, Sue Bryce, and Barbara Davidson highlighted their career-defining images and introduced new work. The trio of accomplished photographers provided inspiration on composing images both deeply personal and universally relevant. For those who would like to make photography a career, Nikon sponsored a seminar all for them. At that gathering, celebrity portraitist Matthew Jordan Smith and Pulitzer Prize-winning photojournalist Deanne Fitzmaurice led the talk. Commercial fashion photographer Dixie Dixon made a well-received appearance, as well. What convention is complete without a Happy Hour? None, we say. Photography buffs who like to gather over an adult beverage appreciated the #PPEFresh Happy Hour. Photo-networking accompanied by clinking ice. Always a good thing. Careers have been made that way. Drones are the new big thing. Who hasn’t seen one buzzing through the air. Did you know that mapmaking will never be the same because of drones? Picture-taking by drone proved to be a popular conventioneers topic, particularly at the Drones+ gathering. The United States is a nation in turmoil, and photographic evidence is abundant. One of the best-attended seminars was Jamel Shebazz’ titled “Making Photos and Making a Difference.” For more than 35 years, Shabazz has been making images driven by the mission “to inspire peace and harmony.” He shared the stories behind his iconic photos. During his time at the podium, Shebazz told of his enduring connection to the young people he photographs, and his commitment to sharing what the best from his community. Finally, rounding out the show were Chase Jarvis and Gary Vaynerchuk. The former is the CEO of CreativeLive, and the latter is a successful entrepreneur. They highlighted their closing-night keynote address by taking questions directly from the audience, providing a very nice finish to a successful convention. The photography buffs who attended this show left the area raving about it, leading to plans to attend again next year. Start making plans now to join them. The 2018 gathering will take place Oct. 24-27, 2018, with the conference opening Oct. 24, and the expo the day after. It was singer Claudine Longet who sang “Oh what a picture, what a pretty picture, oh what a picture, what a photograph.” Make plans to attend the 2018 PDN PhotoPlus International Conference, and that song can be sung about your work.